Essex County sits on the edge of the Great Lakes in the southern-most region of Canada. Its warm summer temperatures and mostly flat farmland make it an attractive destination for cyclists. Surrounded on three sides by water, Essex County has become one of the premier wine regions in Canada, due to the humid and long grape growing seasons. Pelee Island is a popular tourist destination and its quiet back-country roads and excellent sightseeing are perfect for the recreational cyclist. Windsor was recognized in 2011 as a 'Bicycle Friendly Community'. With its proximity to Detroit and the United States, the area has always been a busy transportation corridor. Many of the original rail lines have been abandoned and are slowly being turned into multi-use recreation trails. One of these is the scenic 48km Chrysler Canada Greenway. Following the a variety of waterways the Great Lakes Waterfront Trail takes cyclists along the shorelines of Lake St Clair, the Detroit River and Lake Erie, connecting to a 1600km cross-provincial trail. The trails listed below are all multi-use, and on a mix of roads and off-road paths; trail conditions and usage may differ. See 'Information Sources and Cycling Maps' to learn more. Roy A Battagello River Walk (Paved) - 8km - This path runs from foot of the Ambassador Bridge along the Windsor waterfront to Alexander Park (George St), passing through the downtown core and provides a very efficient east-west route across the city. There are also several 'bike service centres' along the route. Lake Erie Waterfront Trail - (Paved) - Approximately 25km of this fully signed new trail, part of a cross provincial route, travels through Windsor. It incorporates the off road River Walk trail above and also some on-road portions through the city. Herb Gray Parkway Trail - (Paved) - A new, 17km multi-use trail in Windsor, the first trail that has been incorporated into a major provincial highway project in Ontario. Officially opened in 2016, the Herb Gray Parkway Trail offers 17km of paved trails, and is set within 120 hectares of green space situated alongside two highway extensions and across 11 tunnel tops. Devonwood Conservation Area (Stonedust) - 5km - This trail within a 38-hectare forest is in the outskirts of Windsor, but is as far from urban as you can get. Just north of Cabana Road, this beautiful woodland is a habitat for owls and bats and has a network of excellent multi-use trails which links to the nearby 2km Devonwood Bike Trail running north. LaSalle Bike Trail (Mixed) – One of a growing network of on and off-road trails in the city, plans are for an 11-km Trans Canada Trail link to Chrysler Canada Greenway. Grand Marais Bike Trail (Mixed) - 8km - This trail runs northeast from the LaSalle-Windsor boundary through Spring Garden Park along or parallel to Turkey Creek, towards the Chrysler Canada Assembly Plant in the centre of Windsor. Caution is required at rail-line crossing and at the E.C.Row Expressway junction. Ganatchio Trail (Paved) – 8km – Running westbound from the Tecumseh boundary (at Lesperance Rd) near the north shore to Vernon Cres (near St.Rose Park), the trail also includes a loop through the Windsor arboretum. Southwood Lakes (Paved) – 8km – A mix of multi-use paths and bike lanes in this southern part of Windsor; also connects to Devonwoods Conservation Area. West Windsor Recreationway (Gravel) – 9km – This trail starts near the Ambassador Bridge, then zig-zags south through several parks towards Spring Garden Park in city's west-end. The trail is part of the Trans Canada Trail. Windsor Arts Bike Route (Self-guided) (Road and Paved Trail) – This tour starts near the Ambassador Bridge, then heads south through city streets and features Windsor's many unique sculptures, historic murals, awesome street art and eclectic galleries. Windsor Loop – This mega-loop is a work in progress. The City's 20-year plan is to create a bicycle-friendly beltway, using trails, bike lanes and signed low-traffic streets, which circumnavigates the entire city and connects neighbouring communities. It will incorporate many local trails, including the River Walk Trail, Ganatchio Trail, West Windsor Recreationway, and others. The 50km loop is partially done, but certainly not complete; there are several gaps in the trail network, as well as highway crossings that need to be addressed. Windsor Kingsville Essex Tour – This three-day, 130 km journey begins and ends in Windsor and takes riders along scenic rural roads to the heart of Canada’s southernmost wine region. Follow glistening Lake Erie and Detroit River shorelines and enjoy panoramic views of rich agricultural lands. Refuel with local produce at farm stands you’ll pass along the way. Ride down the Chrysler Canada Greenway through charming towns, natural areas, beaches, historical buildings and culinary offerings you have to taste to believe. Download PDF Itinerary or GPS routing. Waterfront Trail (Paved) – Primarily on-road through Essex County and Windsor, this fully-signed cross provincial route enters the County in the east at Wheatley, follows Lake Erie, the Detroit River, Lake St Clair until Lighthouse Cove, stretching close to 200km around Essex. Detailed route maps available HERE. Pelee Island (Mixed) – The quiet back-roads of Pelee Island are perfect for cycling, and there is much to see. 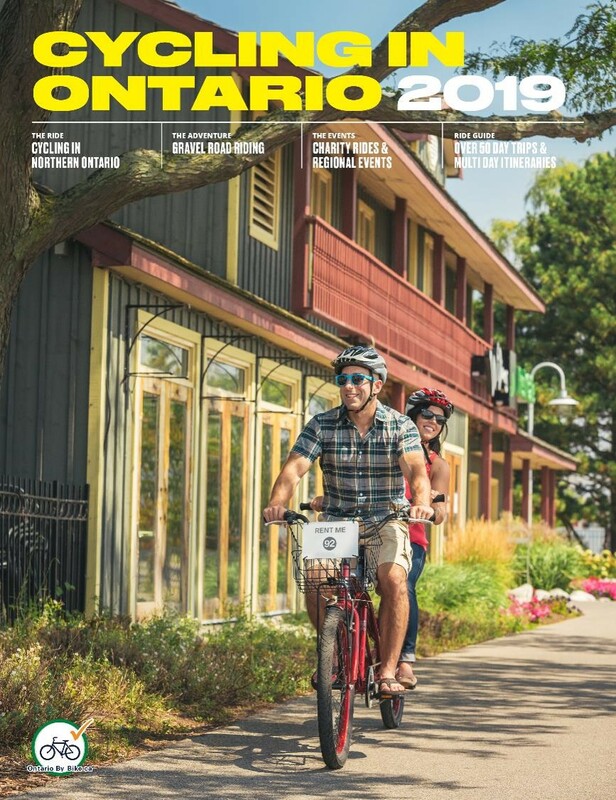 Cyclists can visit two nature reserves, at the northern and southern tips of the island, as well as stop at the beautiful Pelee Island Winery Pavilion, for picnics, barbecues and to taste some of the local wines. Puce River to Ruscom River (Mixed) – 13km – This route along the Lake St Clair shore between these two rivers passes through the Town of Lakeshore. 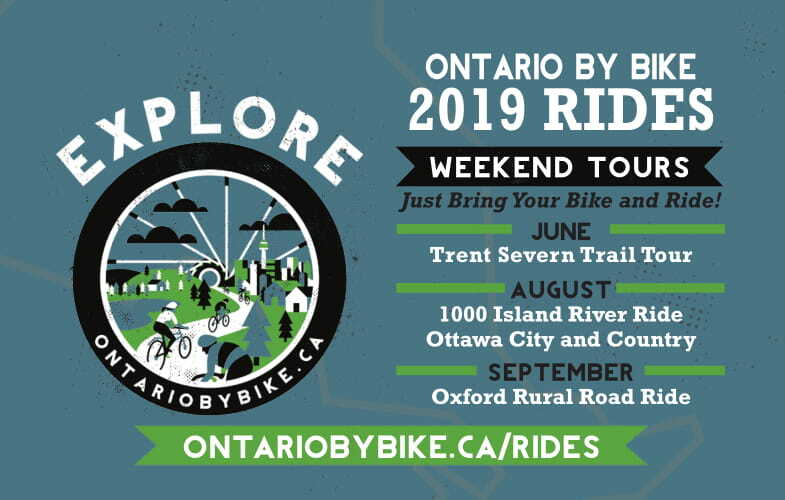 Underground Railroad Bicycle Route – Follow the route that escaped slaves used to travel to Owen Sound from the southern United States. Bike route maps paint a picture of what the journey was like in the 1800s. Alternate routes through Detroit and Essex County were recently added to this 3200 km route. 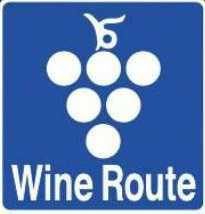 Wine Route – Essex County has a plethora of wineries, many connected with an on-road Wine Route that is signed and intended for motorists. Cyclists may wish to follow portions of this route depending on experience and comfort level on shared road facilities. There are also several local companies that run regular wine tours on bikes. The trails listed below are all multi use; trail conditions and usage may differ. Chrysler Canada Greenway (Stonedust) – 48km – In 1995, the Essex Region Conservation Authority (ERCA) purchased an abandoned railway line and converted it to a multi-use path. It runs south from Oldcastle (outskirts of Windsor), through towns of McGregor and Harrow, and proceeds eastward to Ruthven (between Kingsville and Leamington). It passes through agricultural lands, by historical buildings and award winning wineries, and connects 25 natural areas and three watersheds. This southern-most section of the Trans Canada Trail is currently the backbone of the trail network through Essex County. Essex-Chatham Trail (Lakeside) (Paved) – 18km – Part of the Trans Canada Trail, this trail is on-road and starts north of Tilbury, ending south of Comber. Essex-Chatham Trail (Rail Trail) (Unpaved) – 13km – Part of the Trans Canada Trail, this converted rail bed starts in the town of Staples and ends just north of Leamington. Amherstburg–Essex Greenway (Mixed) – 26km – Currently there is approximately 6km of trail running from Sadler’s Park in Essex westbound towards Amherstburg. 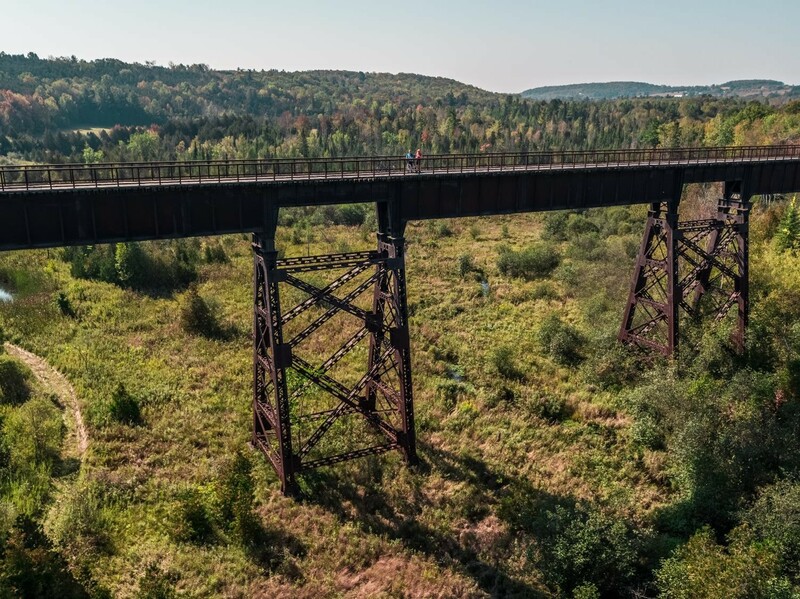 The long-term plan is to turn an old CN rail spur between these two towns into a 26km multi-use path passing through McGregor, as funding becomes available. Amherstburg Birding & Nature Trail (Mixed) – 5km – Watch for wildlife on this loop around Mann Swamp, at the mouth of the Detroit River. Centennial Bike & Hike Trail (Unpaved) – 15km – Point Pelee National Park's recently expanded Centennial Multi-use Trail offers a fantastic opportunity to explore the entire park. Visitors can ride into the park or drive to any of over 8 day use areas all accessible via the trail. Day use areas feature, washrooms, picnic tables, eating shelters, charcoal barbecues and beach access. The 15km "tennis racket shaped" hiking and cycling trail offers a windy, rolling, smooth gravel pathway that travels through swamp and dryland forest, savannah and even along Pelee's famous sandy beaches. There are water stations, benches, bike racks all along the trail as well as bike pumps and tool centres at both the park Visitor Centre and the Marsh Boardwalk area. Road riders are also able to ride the park's winding, forested, 9 km paved road that takes them to the Point Pelee Tip, the southernmost point of mainland Canada. There are also overnight accommodations on site in the way of 4-season yurt-like structures called Otentiks. Hillman Marsh Conservation Area (Unpaved) – 5km – Near Leamington, you can ride a mowed-grass loop on top of the dyke alongside marshland and Hillman Creek. This is an excellent birding area, as hundreds of species use it as a stopover during migration season in May. It is an ecologically sensitive area, and is used in the ERCA's Outdoor Education Program. Vollmer Recreation Complex Trail (Paved) – 6km – This multi-use linear trail in LaSalle runs parallel to Laurier Pkwy from Walden Rd to Howard Ave, and is an excellent east-west commuter route. Pelee Island Waterfront Trail (Mixed) - 28km – This circular route closely follows to the Lake Erie shoreline all around the Island. The route travels quiet country roads, through farmland, vineyards and natural areas, and has equal sections that are paved and unpaved. Two Creeks Conservation Area – Near Wheatley, there are 10km of mountain biking trails, mostly twisty single-track, within this 85-acre forest. This is the best-marked trail network in the region. Washrooms and a picnic area. Little River Corridor– In the east-end of Windsor, this 6km trail (return) meets up with the Ganatchio Trail along the north shore. Mostly singletrack, it has washrooms and snack bar nearby. Spring Garden – A local favourite, located on the outskirts of Windsor, this 290-acre park includes an 8km loop of singletrack trail. Malden Park – Near the Detroit River within Windsor, this 180-acre park includes a 6km loop trail within a forest/savannah mix. There's washrooms, snack bar and picnic area nearby. Black Oak Heritage Park (aka Morton Terminal) – Part of the protected 500-acre Ojibway Prairie Complex, this forested area has a 6km and an 8km loop, bisected by train tracks. Arguably the best singletrack in Windsor. Trans Canada Trail (TCT) – Essex County is home to approximately 57-km of Trans Canada Trail The TCT is a four-season, multi-use trail system with various surface types and users. A number of the area's trails are incorporated within this larger, national trail system including: Essex-Chatham Trail (Lakeside), Essex-Chatham Trail (Rail Trail), the Chrysler Canada Greenway and the West Windsor Recreation Way. The Waterfront Trail – Following Lake Ontario’s shoreline from Quebec to Niagara-on-the-Lake, and Lake Erie from Fort Erie to Windsor and through to Lakeshore, and extended in 2016 to Grand Bend, this well-mapped and fully signed route offers a mixture of paved on- and off-road trails covering 1,600 km+. The route also includes a 28km circle route around Pelee Island. The Waterfront Trail is excellent for long distance touring or shorter day trips, connecting to many community access points. City of Windsor - Parks, Trails and Recreation Map. 2016. Available online PDF or in print. Shows all existing bike routes and multi-use trails, parks and gardens in the city of Windsor. Windsor-Essex-Pelee Island Trail Guide – Published by ERCA in 2011, this guide details 32 trails and conservation areas and includes cycling, walking and hiking trails. Available in hardcopy and online. 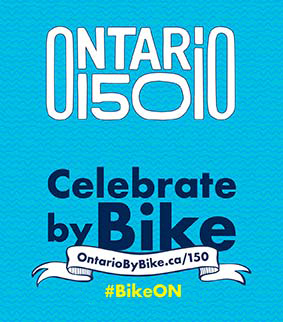 Essex Region Conservation Authority – Biking. Lists several trails maintained by the ERCA, including the Chrysler Greenway. Canada 150 Cycling Route – Experience the call of the outdoors and cycle from Windsor’s stunning riverfront to Canada's southernmost National Park. Enjoy beautiful riding along the newly completed Herb Gray Parkway Trail to the Chrysler Canada Greenway and Cypher Systems Group Greenway Trails! US-Canada Greenways Vision Map. 2016. Available online PDF or in print. A U.S. – Canadian partnership developed this printed map that aims to encourage people to grab their bikes and explore both sides of the Detroit River. Major cycling routes and trails on both sides of the Detroit River are featured. Point Pelee National Park - Cycling Map – Download able PDF maps of cycling trail and bicycle friendly roads in the park. Cycle Windsor – Official cycling info page on City website. Links to Trails info and other cycling-related resources. 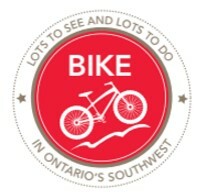 Bike Windsor Essex - Website of advocacy organization providing local cycling information. 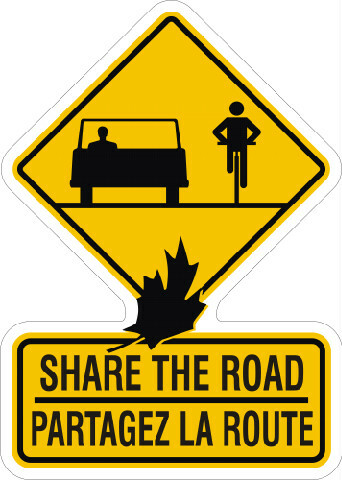 Share The Road - Essex County - A grassroots community group advocating for making the roads safer for cycling, by motivating road engineers and policy makers to make more bicyle friendly routes in Essex County ON. MappMyCity - Online and easy to use application that features the city base map and layers such as Bike Lanes, Multi-Use Trails and Signed Routes. Point Pelee National Park – Official Parks Canada website. Underground Railroad Bicycle Route – Printed map/guide. This historical route has been mapped and published by the Adventure Cycling Association. Visit www.adventurecycling.org/routes-and-maps for information and to purchase the paper map. See -UGRR Detroit Alternate - includes Windsor and Essex County. Gear Up and Go - 2016 Contest. Easy to enter by riding a minimum of 2 trails in area, with a chance to win a family cycling prize package. Contest runs April through September. *Please note there are many additional map guides for the region that cyclists may find interesting or useful. New maps and guides are produced yearly, and the information listed here may change.